Ear Care with special dropper for easy use Ideal for cleaning and care of the auditory canals. Mild.. Product Description: Back to the roots The nibbling roots are made of 100% natural heather roots .. 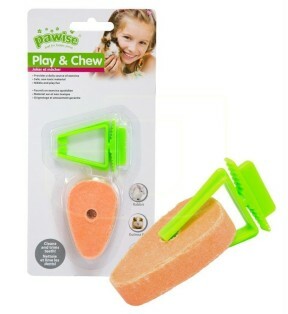 Oval shaped licking stone for rabbit, hamster and guinea pigs. * It is safe, made of non-toxic m.. Play & Chew Mineral Pie Brighten up the cage with these cute and colorful mineral tarts. These ..